Rich orange Vertical blinds cast a gorgeous glow across the room. And their adjustable louvres mean you can achieve just the right balance of light and privacy. They keep prying eyes out while allowing plenty of sunlight to filter into the space. If a delicious effect is the order of the day, plump for mouth-watering pumpkin and tangerine tones. Or for a softer take on the trend, go for light apricots and peaches. 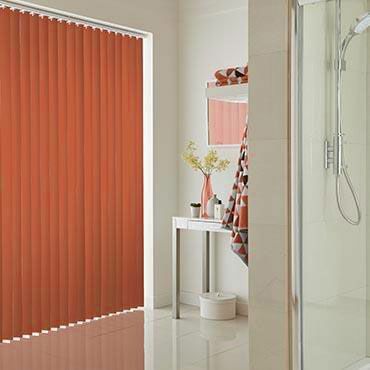 Lastly, you can’t beat burnt orange Vertical blinds for creating a warm autumnal feel. Once orange has got the go-ahead in your interior, it’s time to decide which of our orange Vertical blinds tickles your fancy. At your no-obligation appointment, your local Hillarys advisor will bring samples of our entire range for you to browse in the comfort of your home. The beauty of orange Vertical blinds is their versatility. They are an ideal solution if you have a bay or bow window, as our clever curved headrails ensure a perfect fit. And Verticals blinds are also perfect for awkward sloping windows. 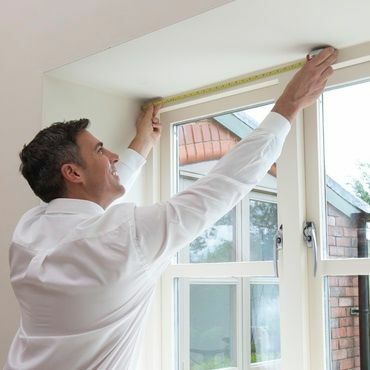 Naturally if your windows are a standard size, they’re great for these too!